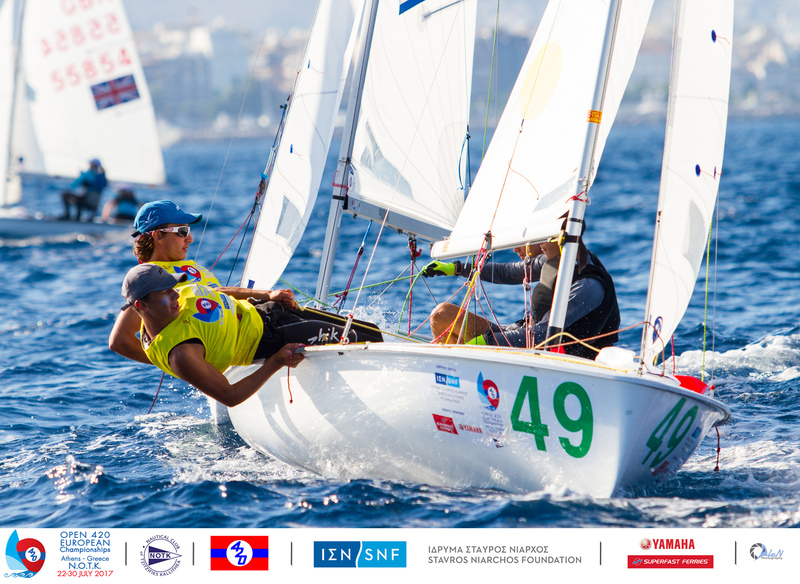 Enjoy the best moments of racing action from the 12 race series over six days at the 2017 Open 420 European Championships, Athens, Greece from 22-30 July with our highlights documentary. 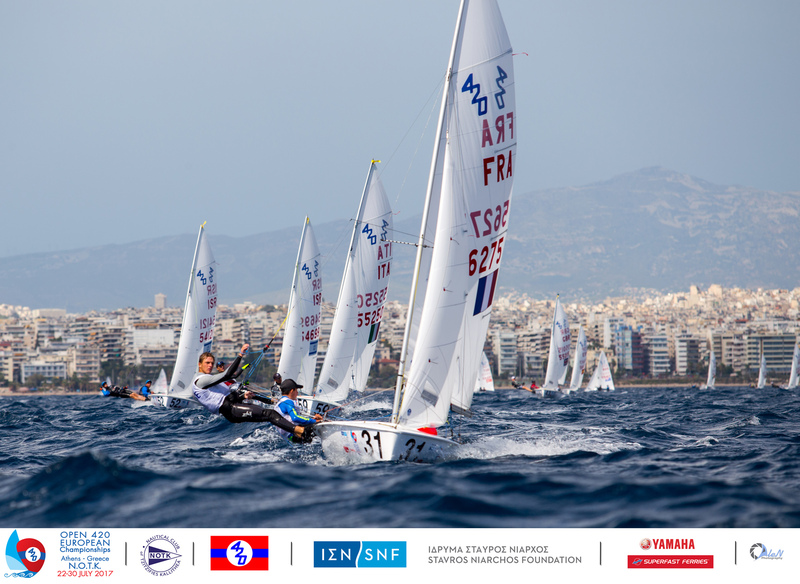 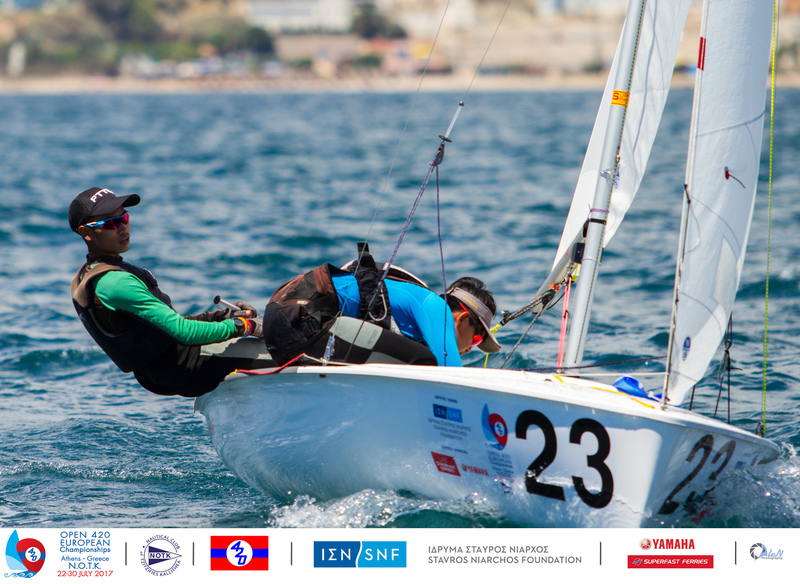 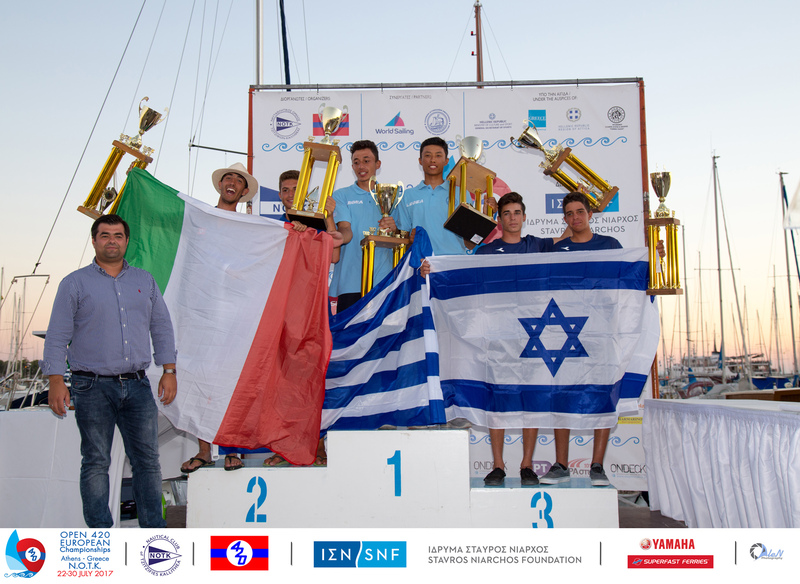 Featuring 358 athletes from 22 nations and 6 continents across the 420 Open, Ladies and U17 fleets, victory came after a long, hard assault on the race track on the Saronic Gulf against some of the best 420 talent from around the world. 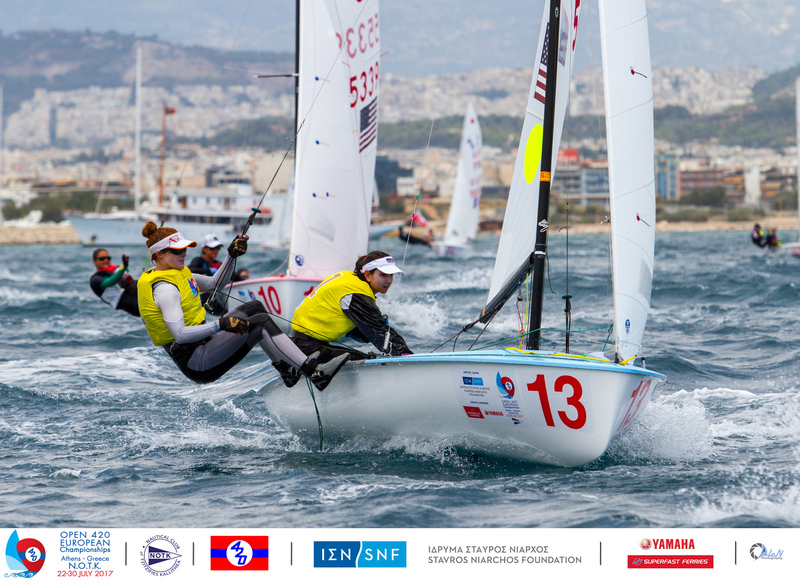 The changing weather conditions rewarded the best all-round teams with gold medals as multiple teams chased down podium finishes. 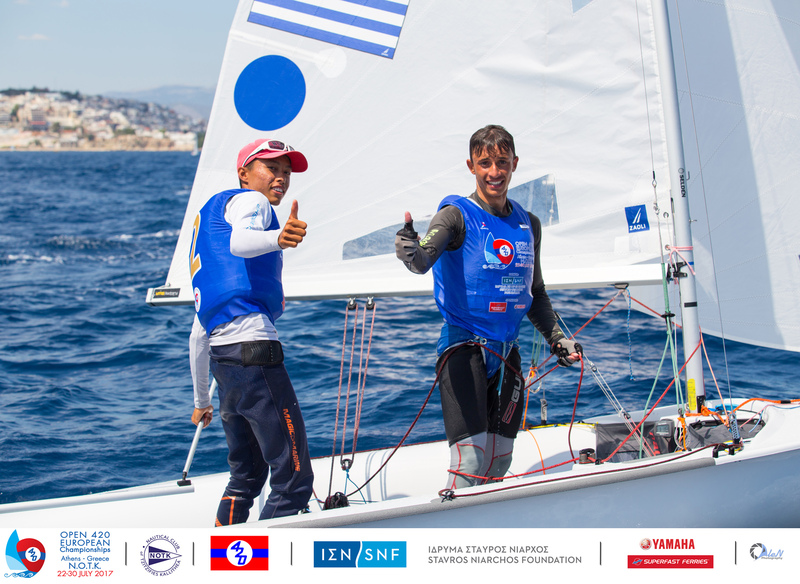 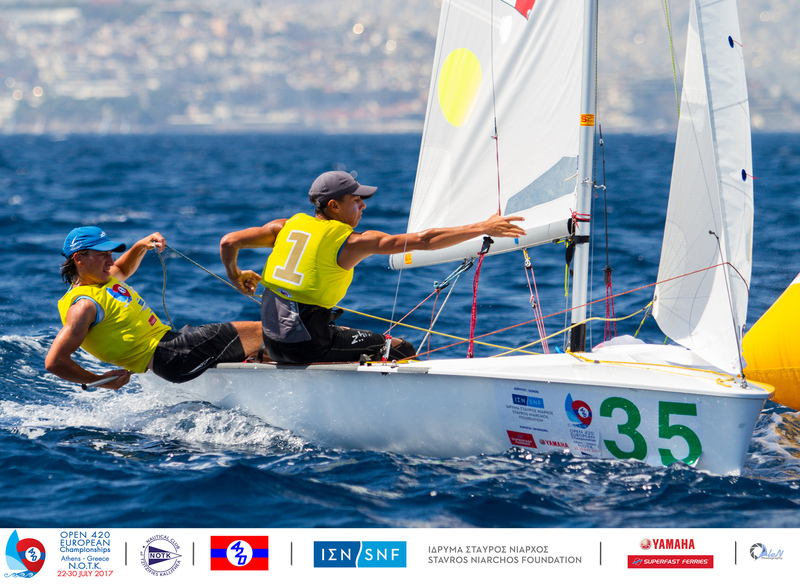 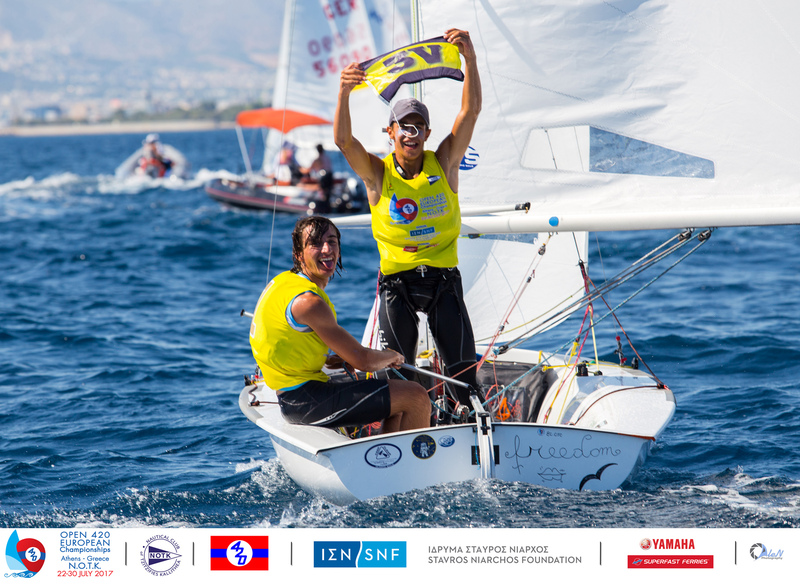 Ultimately victory went to Greece’s Telis Athanasopoulos Yogo/Dimitris Tassios in the Open Fleet, Maria Caba/Pilar Caba (ESP) in the Ladies and in the U17 Open Demetrio Sposato/Gabriele Centrone (ITA) wore the leader’s yellow bibs from day one, keeping their rhythmn from start to finish. 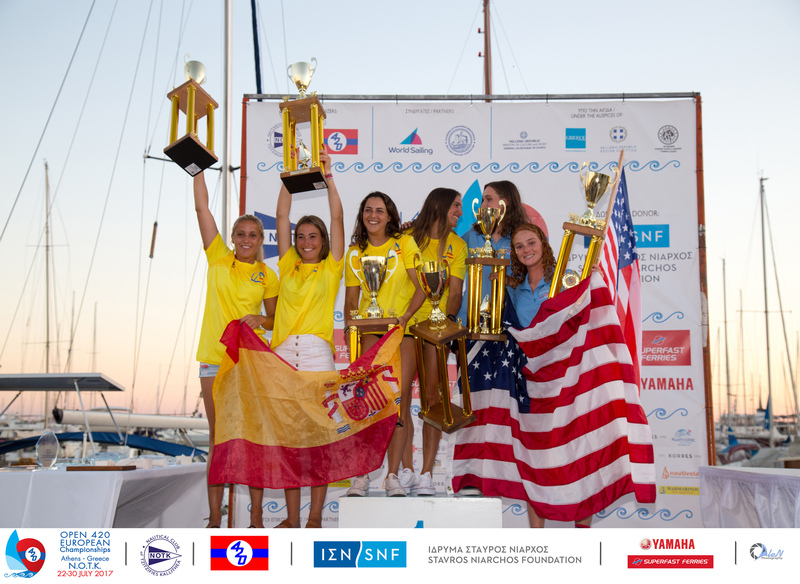 Ariadni-Papaskevi Spanaki/Myrto Papadopoulou (GRE) picked up the U17 Ladies title. 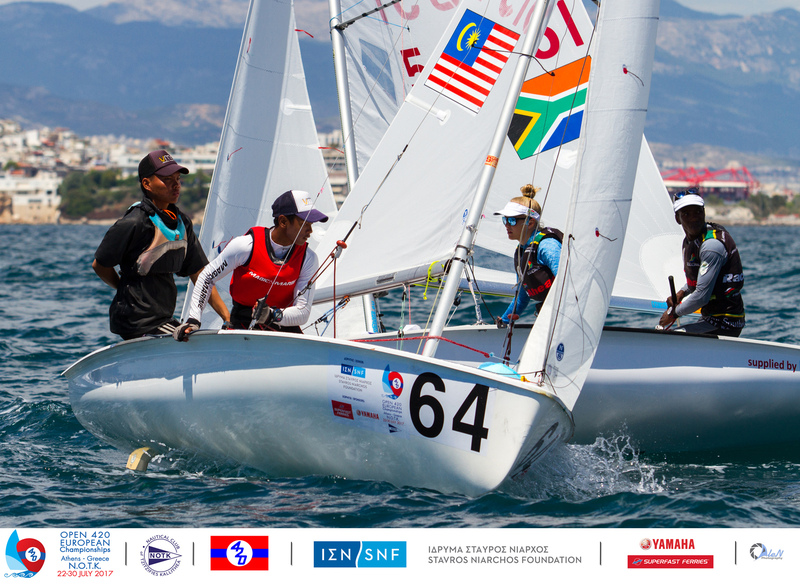 All six continents were represented amongst the 22 nations competing at the 2017 420 Open European Championships: Australia, Canada, Croatia, Czech Republic, France, Great Britain, Germany, Greece, Indonesia, India, Israel, Italy, Japan, Malaysia, Portugal, South Africa, Spain, Switzerland, Thailand, Turkey, Uruguay, USA.